Ohio romantic vacations can be a fantastic way to enjoy the scenario of the midwest while still taking in the big cities. Ohio's largest cities, Cleveland, Columbus, Cincinnati and others may offer the romance you are looking for, or you may want to consider small town bed and breakfasts. There's something to for everyone in Ohio. For those wanting to head someplace enjoyable for just the weekend, Ohio offers a variety of great destinations. Here's a look at some locations to consider. Spend the weekend in Cincinnati: Cincinnatian Hotel is one of the most luxurious you'll find in the city. Have a romantic dinner The Palace. Then take some time to visit Carew Tower for views of the city from the observation deck. Watch the sunset over the river or count the stars. Columbus Romance Weekend: For a romantic weekend in Columbus, visit some of the old state's buildings found. You will also find the German Village to be packed with great food and a nostalgic time. You will also find a number of great restaurants in the Brewery District. Rent a Cabin: A fantastic place to stay for a quiet weekend both in the summer months or in the winter months is to stay that the cabins in Hocking Hills. A variety are available at all times of the year. You will even find cabins with hot tubs, great hiking trails and you may even want to take a train ride on the Hocking Valley Scenic Railway. Are you looking for a few unique ways to spend some time together? Here are some ideas that can have you both having a lot of fun. Perhaps they aren't the traditional romantic retreats, but chances are good you'll both have fun. Cleveland is a fantastic place to come for magical nightlife and for the lake. Then, take a boat ride out into the water to watch the sun go down. 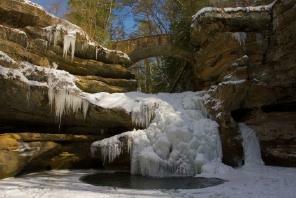 The Cleveland Metroparks offers a range of hiking and walking trails throughout the region. Cleveland's nightlife is the best in Ohio, with a variety of clubs located on the water's edge. The Rock 'n Roll Hall of Fame is located right on the lake as well. Perhaps you are both the type of love thrill rides. There are several locations around the state to enjoy for thrills and romance! Considered one of the world's top amusement parks for thrill seekers, Sandusky's Cedar Point makes for a perfect weekend away. The water park and the rides will take up most of your day. Make time for some of the great resorts located nearby and the fine dining located in the city. Located in central Ohio, Amish Country is one of the best locations to simply enjoy life in the most natural sense, and share romance as well. A variety of cabins, inns and hotels are available throughout the region. Enjoy homemade foods, made from scratch household goods (not to mention virtually everything else) and enjoy good friendship. There's plenty to see and the remoteness of the location will help make you feel right at home. 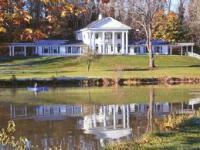 Located throughout the state are some of the most amazing Ohio bed and breakfast locations. These are a good choice for those who just want to enjoy some time away together. There may be historical buildings located nearby, or shopping, museums, antiques and much more. Donna's Premier Lodging offers a range of cabins in all price ranges. You may want to ask for the heart shaped hot tubs! His Majesty's Bed & Breakfast located in Madison. Tour the local Ohio wineries. Middle Bass Island Inn located on Middle Bass Island in Lake Erie, offers amazing historic scenery and quiet island life. Ohio romantic vacations provide you with a number of fun things to do. With your significant other with you, you'll enjoy time together, great food and amazing settings throughout the state.